The term subclinical eating disorder is frequently used to describe individuals, athletes and nonathletes, who have considerable eating pathology and body weight concerns, but do not show significant psychopathology or fail to meet all of the DSM-IV criteria for anorexia nervosa, bulimia nervosa, or eating disorders not otherwise specified 18,19 . Many athletes who report using pathogenic weight control methods (eg, laxatives, diet pills, and excessive exercise) do not technically meet the criteria for a clinical eating disorder 19 . Often an individual will have disorder characteristics of both anorexia nervosa and bulimia, often called bulimiarexia. Both anorexia nervosa and bulimia are psychological disorders, which makes them somewhat difficult to treat. Typically treatment will include the efforts of an eating disorders counselor and a dietitian who specializes in eating disorders. Usually there is a root psychological issue that needs to be addressed. Today, many professionals are characterizing some patterns of overeating, leading to obesity, as an eating disorder as well. Here, food is used as a coping or comforting tool. Again, there are probably psychological issues at work here too. An eating disorder is a psychological illness that leads you to eat either too much or too little. Indulging in a hot fudge sundae once in a while is not an eating disorder. Neither is dieting for three weeks so that you can fit into last year's dress this New Year's Eve. The difference between normal indulgence and normal dieting to lose weight versus an eating disorder is that the first two are acceptable, healthy behavior while an eating disorder is a potentially life-threatening illness that requires immediate medical attention. An eating disorder results in inadequate intakes of kcals and nutrients to replenish the energy used during daily activities. Two common types of eating disorders are Anorexia Nervosa and Bulimia Nervosa. Some behaviors people with eating disorders engage in are starvation, self-induced vomiting, excessive exercise, and the misuse of laxatives or diuretics. Both disorders are extremely damaging to the mind and body, and, if untreated, can lead to death. These disorders can have long-term health consequences by affecting the heart, liver, kidneys, and bone. In addition, these behaviors severely limit physical and mental performance. Bulimia is similar to anorexia nervosa in that individuals have a distorted self-image. However they will binge on food only to purge it shortly thereafter. It is not uncommon for a bulimic person to ingest several thousand calories of food in an hour or two. Usually the choice of food during this time includes snack chips, cookies, ice cream, pizza, candy, and other fast food. Self-induced vomiting and an engrossment in guilt shortly follow the eating binge. Bulimia is a self-perpetuating behavioral disorder, as the next food binge becomes a coping vehicle for guilt from the previous binge purge episode. Physical signs of bulimia may include a discoloration of teeth from frequent vomiting and also cuts to fingers and knuckles from frequent induction of vomiting. An estimated eight million Americans suffer from disordered eating, according to the National Association of Anorexia Nervosa and Associated Disorders (ANAD). Between 5 and 20 percent will die from medical complications as a result. Eating disorders anorexia nervosa, bulimia, and binge eating disorder are actually distorted eating habits often related to emotional problems. Anorexia typically results in low body weight it's linked to menstrual irregularity, osteoporosis in women, and greater risk of early death in women and men. 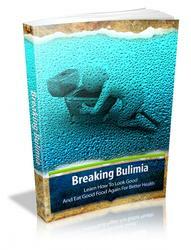 Bulimia may or may not be linked to low body weight. And binge eating disorder, probably the most common eating disorder, typically results in overweight and often in repeated weight gain and loss. All require qualified medical attention. Eating disorders can result in malnutrition. 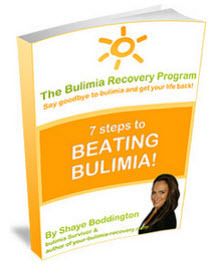 Bulimia is a condition marked by periods of binge eating followed by purging. This differs from compulsive overeating, or binge eating, which occurs when an individual eats compulsively but does not purge and becomes overweight. Starvation, either from the lack of available food or from self-imposed starvation, as in anorexia nervosa, will also cause malnutrition. Anorexia nervosa refusal to maintain body weight at or above what is considered normal for height and age Eating disorders such as anorexia and bulimia are more prevalent among college females than among the general population. This is related to body image dissatisfaction females that are underweight, as measured by their body mass index (BMI), sometimes consider themselves to be overweight. The incidence of anorexia and bulimia may increase when there is excessive preoccupation with weight, academic achievement, body image, and eating, as well as during stressful periods, such as final exams. People who compulsively overeat repeatedly consume excessive amounts of food, sometimes to the point of abdominal discomfort. However, unlike bulimics, they do not get rid of the food with any of the methods mentioned earlier. In fact, most people with this type of eating disorder are overweight from the constant bingeing and have a long history of weight fluctuations. Healing Connections, Inc. is a nonprofit organization that prevents eating disorders and body image disturbances through education. Healing Connections offers lectures and workshops to area schools and businesses, and also provides referrals for those looking for treatment. For more information, or to make a tax-deductible donation, please call 212-585-3450, or visit www.healingconnections.org. Adolescents are at risk for obesity, obesity-related chronic diseases, and eating disorders. Eating Disorders. Adolescents tend to be very conscious of appearances and may feel pressure to be thin or to look a certain way. Fear of gaining weight may lead to overly restrictive eating habits. Some teens resort to self-induced vomiting or laxative use to control their weight. Both boys and girls are affected by eating disorders. Teens who suspect they have a problem with body image or eating habits should talk to a trusted adult. Female athletes may be more restrictive in their dietary intake than male athletes, placing them at greater risk for nutritional deficiencies and impaired performance and health. Beals and Manore 34 evaluated the diet and nutritional status of female athletes with subclinical eating disorders (n 24), compared with those of controls (n 24). The group with subclinical eating disorders had significantly lower energy intake than the control group (1989 kcal d versus 2300 kcal d P .004) however, energy expenditure did not differ between groups. Average micronutrient intake and iron, zinc, magnesium, vitamin B12, and folate status did not differ between groups (and were within normal limits). Athletes in both groups used vitamin-mineral supplements, which likely improved nutritional status. It might sound funny, but it's no laughing matter to be completely preoccupied with fat. Certainly, a low-fat diet is an essential part of being healthy however, taking this concept to radical extremes can place serious restraints on social eating, let alone set you up for a serious eating disorder. If your reason is weight control, think again. Some fat is fine, and I promise you can maintain your ideal body weight (within reason, of course) and still allow yourself to enjoy foods with fat every once in a while. Although dieting is standard among swimmers and participants in other sports that emphasize leanness (figure skaters, dancers, gymnasts, runners), the pressure to acquire the perfect body can lead to trouble if the dieter has a poor self-image and low self-esteem. All too often, diets are about feelings of being imperfect or inadequate rather than weight alone. Dieting increases the risk of developing a full-blown eating disorder. Oral health may be related to many nutritional factors other than sugar, including the number of times a day a person eats or drinks, the frequent ingestion of drinks with low acidity (such as fruit juices and both regular and diet soft drinks), whether a person is exposed to fluoride (through fluoridated water, fluoridated toothpaste, or fluoride supplements), and whether an eating disorder is present. Not only can the diet affect oral health, but also oral health can affect eating patterns. This is particularly true in individuals with very poor oral health, who may not be able to chew without pain or discomfort. Older, edentulous (having no teeth) patients who have had a stroke with the accompanying chewing and swallowing problems may be at significant nutritional risk, particularly if they are living alone and on a limited income. Finally, malnutrition (both undernutrition and overnu-trition) have specific effects on oral health. The motivation for adopting a vegetarian diet may be important, as some women may become vegetarian in the process of developing an eating disorder, with attendant menstrual disturbances. Furthermore, high levels of cognitive dietary restraint are associated with subclinical menstrual disturbances. Accordingly, the subpopulation of women who become vegetarian for reasons related to body weight issues may be at increased risk. Although osteoporosis is most often diagnosed in postmenopausal women, it should be noted that signs of osteoporosis have been observed in younger women as well. Younger female athletes who are excessively lean can reduce or halt their estrogen production and establish the opportunity for bone loss. In addition, the positive effects of weight-bearing exercise are not apparent in excessively lean women. The positive effects of resistance training will not balance out the negative impact of reduced estrogen levels. Anorexia nervosa, which is most common in teenage and younger adult women, is characterized by abnormally low body weight. This state can also reduce estrogen production and invoke bone demineralization. Vitamin and mineral deficiencies do not develop overnight but over the course of months or years, such as can happen in a person with anorexia or someone who eats an inadequate vegetarian diet. Your body actually stores some vitamins in stockpiles (A, D, E, and K the fat-soluble vitamins) and others in smaller amounts (B and C the water-soluble vitamins). Most healthy people have enough vitamin C stored in the liver to last six weeks. One day of suboptimal eating will not result in a nutritionally depleted body. The mechanism of action of ghrelin involves stimulation of hypothalamic neurons (97) and inhibition of gastric vagal afferent signals (98). Based on the foregoing, it is plausible that ghrelin or its analogues could be candidates for future therapy for primary anorexia as well as the anorexia and cachexia often seen in patients with HIV AIDS, systemic disorders, and malignant diseases. Conversely, ghrelin antagonism is an attractive idea for drug development for obesity and hyperphagic disorders. Even lean athletes, men and women alike, are not immune from the epidemic of body dissatisfaction, despite their fitness. Many perceive themselves as having unacceptable bodies, and this perception can lead to the development of eating disorders. The best predictor of who will develop an eating disorder relates to who struggles most with body image. 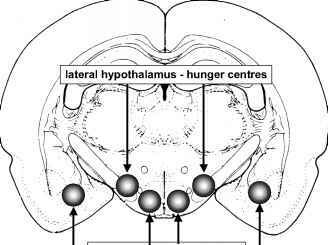 As shown in Figure 1.3, there are hunger and satiety centres in the brain, which stimulate us to begin eating (the hunger centres in the lateral hypothalamus) and to to stop eating when hunger has been satisfied (the satiety centres in the ventromedial hypothalamus). A great deal is known about the role of these brain centres in controlling food intake, and there are a number of drugs which modify responses to hunger and satiety. Such drugs can be used to reduce appetite in the treatment of obesity (section 6.3.3) or to stimulate it in people with loss of appetite or anorexia. Biochemical assessment offers the advantages of being readily available in most clinical settings, it is objective, and it requires only minimal patient cooperation. CKD and dialysis procedures each can influence nutritional status, limiting nutrient intake due to anorexia, dietary restrictions, socioeconomic constraints, or impaired gastrointestinal (GI) motility. In addition, CKD also exerts an indirect effect on nutritional status by increasing requirements and impairing the body's ability to down-regulate resting energy expenditure (REE) and protein turnover. Biochemical testing provides important insights into adequacy of protein and energy intake, the presence of inflammatory or oxidative stress, and nutritional adequacy over time. Secondary effects of other comorbidities results in hypermetabolism and inefficient utilization of nutrients. With this form of malnutrition, simple nutritional repletion without measures to correct the underlying comorbidities and inflammation is ineffective. Because there are interactions between inflammation, anorexia, and poor nutrient intake, a multifaceted intervention strategy that optimizes dialysis delivery, energy and protein intake, corrects concomitant conditions (e.g., acidosis, anemia, uremia, medication side effects, economic concerns, dental health, etc. ), and addresses inflammation and elevated proinflammatory cytokines is needed. Biochemical assessment is an instrumental part in differentially diagnosing the etiology of protein deficits in people with CKD. A person is considered underweight if he or she has a BMI below 18.5. Although anyone who has seriously dieted may think an underweight person is problemfree, this is hardly the case. Underweight persons who have trouble gaining weight have very real concerns. Just as some people cannot seem to lose weight, other people have trouble putting on a few extra pounds. The cause could be genetics, metabolism, or environment. However, some thin people, if they were to gain weight, would feel uncomfortable. Anyone who is underweight due to wasting diseases such as cancer or eating disorders also has a problem malnutrition. Serum cholesterol also is depressed with chronic inflammation. The relationship between mortality and serum cholesterol is usually U shaped, with lowest mortality occurring with serum cholesterol levels of about 200-220 mg dL in most trials and increasing for higher or lower values. A relationship between CRP and serum cholesterol has been reported, with patients at both high and low extremes of the serum cholesterol distribution having higher CRP levels (13). Low levels of cholesterol and elevated CRP suggest the presence of inflammatory stress and anorexia, whereas elevated levels of both may be more reflective of cardiovascular disease (CVD). Exhausting talks, discussions, and distractions (TV, radio, reading) burden stomach and spleen, which are especially sensitive to emotional tensions such as brooding, worries, anger, and fear. Negative emotions block and weaken the qi of digestive organs, resulting in loss of appetite, bloating, regurgitation, and stomach pain. It turned my stomach It ruined my appetite The news made me choke on my food are popular ways of describing this all too common situation. 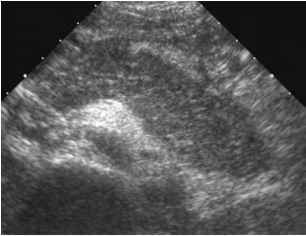 Continuous exposure of the stomach spleen network to emotional stress can cause serious eating disorders and digestive problems such as obesity, bulimia, anorexia, or gastric ulcers. People who suffer from anorexia nervosa will be malnourished, which will affect most of their body functions, including their ability to grow, heal cuts or bruises, and fight infections. They may have trouble sleeping, be chronically fatigued, and moody. Eventually, they will lose bone mass to the extent that they will have osteoporosis. If they survive and the condition continues, patients will exhibit early aging. About 6 of anorexia patients die, mostly from heart problems caused by low potassium levels. Originally considered to be a disease targeting affluent white women and adolescents, eating disorders are now prevalent among both males and females, affecting people of all ages and from many ethnic and cultural groups. As many as 70 million people worldwide are estimated to suffer from these conditions, with one in five women displaying pathological eating patterns. Most eating-disorder research focuses on females, who represent 90 percent of all cases. The additional 10 percent are males, a group that is often underdiagnosed due a widespread misperception that this disease only affects females. This belief also makes males less likely to seek treatment, frequently resulting in poor recovery. Among males, body image is a driving factor in the development of eating problems. Gender identity may also play a role in the evolution of eating disorders, with homosexual males more prone to this disorder than the overall male population. Cravings for carbohydrate-rich foods cause many bulimics and binge eaters to center their binges around desserts and high-starch foods. Many individuals suffering from disordered eating commonly avoid foods low in carbohydrate and high in fat, and instead seek out excessive sugar, routinely using large quantities to sweeten foods and beverages. This may stem from a physiological and evolutionary need for ample carbohydrate to ensure proper neurological function. 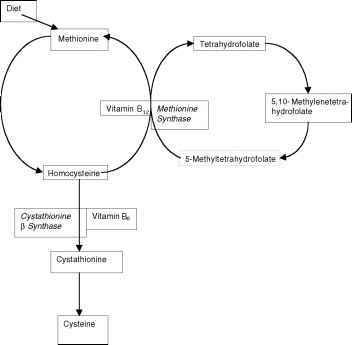 Large quantities of carbohydrate eaten in a short time frame are capable of altering neurotransmitter synthesis, producing a calming effect on the brain, and thus may be the impetus for such cravings in certain eating disorders and disturbances. Adolescence is a time of growing up both physically and socially. During these years, the nutrition choices people make will affect not only their current health, but their future health as well. see also Eating Disorders Eating Disturbances School-Aged Children, Diet of. Bode, Janet (1999). Food Fight A Guide to Eating Disorders for Preteens and Their Parents. New York Aladdin Paperbacks. Food addiction is a nonmedical term that refers to a compulsion to eat spe cific foods, usually those that are high in sugar or starch. Although this term is used to describe intense cravings to seek out specific foods, these foods are not, in and of themselves, physically addictive in the way a drug might be. Instead, the need to pursue and consume these foods may be representative of a psychological disturbance, extreme anxiety, or emotional distress. see also Eating Disorders Eating Disturbances. Cassell, Dana, and Gleaves, David (2000). The Encyclopedia of Eating Disorders, 2nd edition. New York Facts on File. The decreased levels of female hormones during amenorrhea can lead to calcium loss from the bones and increase the likelihood of developing osteoporosis later in life. Osteoporosis is a major cause of bone fractures in the elderly. Bone density throughout the adult lifespan is greatly impacted by the amount of bone formed prior to the early thirties. Therefore, amenorrhea and eating disorders in young adults can negatively affect bone health for life. Prior to menopause, a healthy diet (including adequate calcium intakes) and the performance of weight bearing activities are the two factors that have the greatest positive influence on bone health (see Chapters 3, 4, 5, and 7). The term fasting refers to voluntarily or involuntarily going without food. A person may fast voluntarily because of an eating disorder, as a dietary practice related to religious proscriptions, or for health reasons, such as weight loss or internal cleansing. There are, however, no nutritional benefits to fasting.